The money you earn will be deposited to your designated account each week. 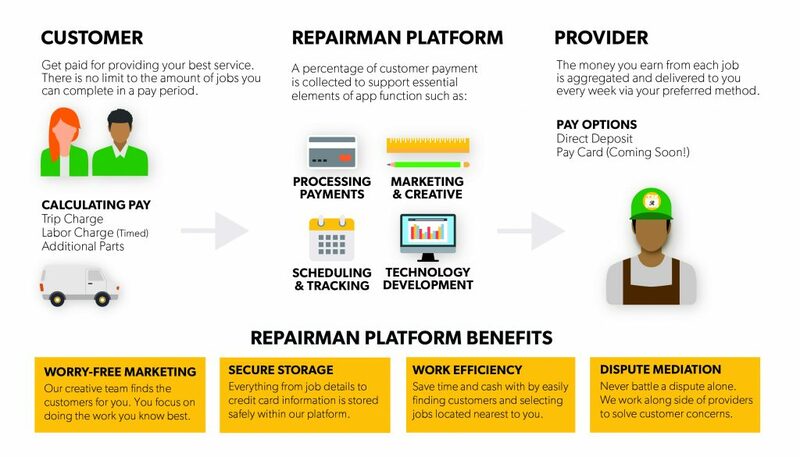 With the Repairman app open, tap the “Account” button to view a breakdown of your earnings. The amount you make per job will very based on the time and materials you spend. 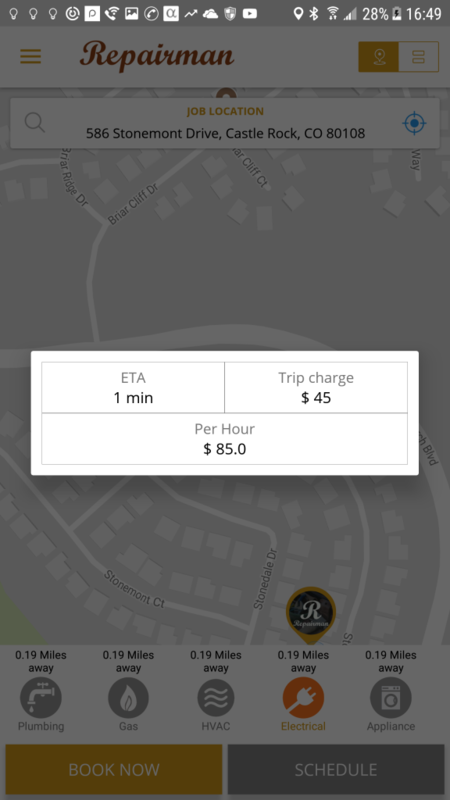 The trip charge will be a standard rate. Generally, the more jobs you complete, the more you make. 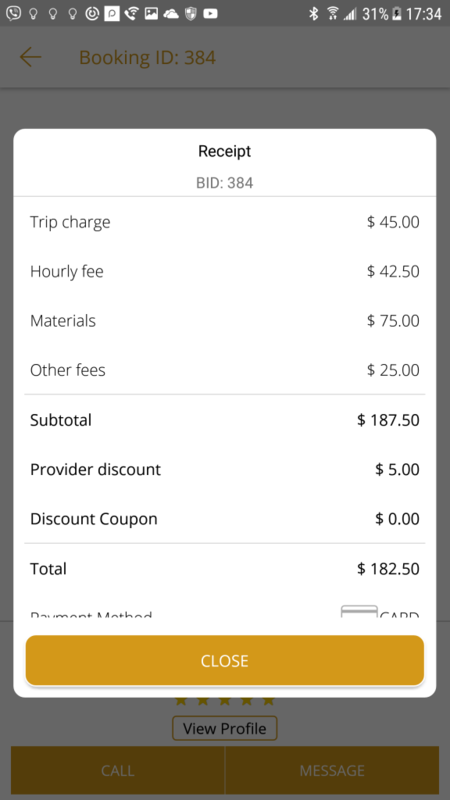 Customers will approve of the trip charge and hourly rate upon booking job. They must sign off on your receipt at the end of each job signifying that they understand all charges they are accruing. Receipts for any purchases made must photographed and submitted at the end of each job.